Jonathan Lundy is the chef and owner of Jonathan at Gratz Park, his acclaimed restaurant in Lexington, Kentucky. 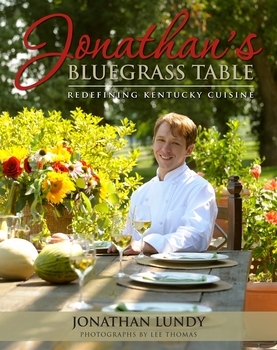 As a Kentucky native and Johnson and Wales culinary graduate, Jonathan's creative approach to simple Southern dining blends the traditional foods of the Bluegrass Region with modern world cuisine. In his inaugural cookbook, Chef Lundy invites you into his kitchen and shares his secrets for preparing many of the sumptuous recipes that have made Jonathan at Gratz Park a locally-beloved, globally-followed restaurant. Here, 147 recipes, along with over 100 full-color photographs, are collected for the first time, reflecting the truly original style that has won him awards and acclaim throughout the Bluegrass Region and beyond.